FIND THE CHORDS YOU NEED. common chords in each key. This time-saving guide shows the most common guitar and piano chords for every key you can play in. When chords are arranged this way, you'll often have all the chords for a single song on one page. No thumbing around for the chords you need. Since it designed for guitar and piano, you can use this guide to quickly translate chords from one instrument to the other. This guide provides quick access to the most frequently used chords in music. 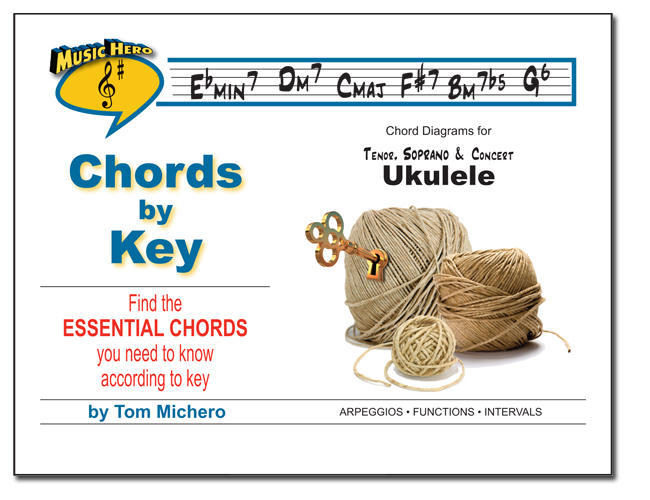 Uses the pages of the guides as "cheat sheets" when you play in odd keys or use them to memorize basic chord shapes. See a sample page here. 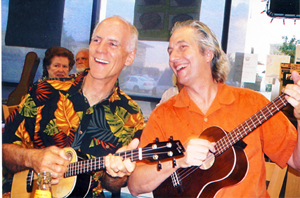 HAVE FUN WITH YOUR UKE. This is the same idea as the guide for guitar and piano except if is for ukulele. 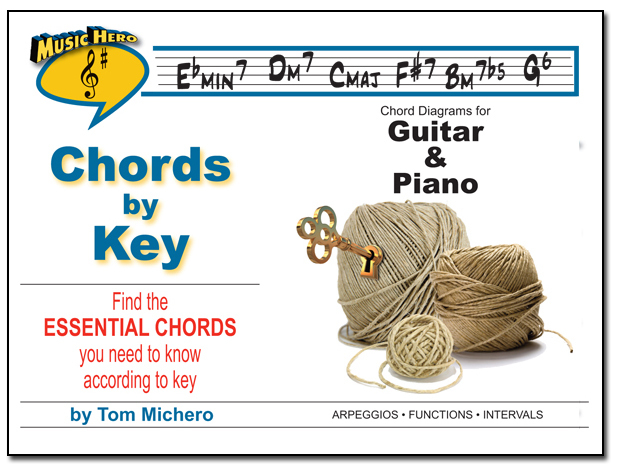 In this guide you'll see the most common chords grouped by key. This allows you to see on one page the most common chords that you'll find in 12 different keys. This guide makes playing music with friends easier and more fun since you'll be playing more and fumbling through chord dictionaries less. This is the same guide that comes with the Harmonizer. 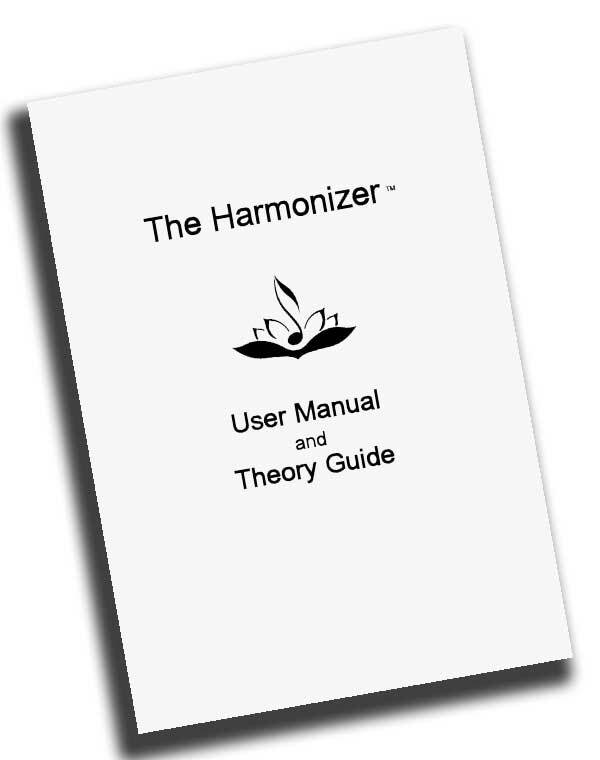 It was originally meant as a guide to how the Harmonizer works but it is so full of basic music theory, it has become a favorite reference book for beginning music students. It's a $5.95 value but it is FREE when you sign up for my newsletter. This book is not instrument specific which means whether you play guitar, piano, or flugelhorn, you will get the information you need to understand music better. Also, it gives you a good overview about all the Harmonizer can do. Making music a part of your life is an ongoing process of learning and exploring. The Lotus Music e-newsletter offers up ideas and perspectives that will help you improve your playing and enjoy it more. 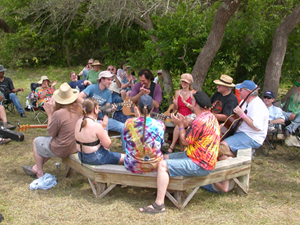 The emphasis here is on making music fun and something that is shared with others. About once a month you'll receive news, observations, and insights that will inspire and inform. Whatever challenge you are experiencing with learning music, you will find you're not alone.